"I'd like a new garden! Where do I start?" We'll then arrange an initial visit to explain our expert service and how we work. We'll discuss your requirements with you and guide you through the various options available, with examples from our extensive portoflio of past gardens. The first visit is free except for some parts of London and projects further than 25 miles from Eynsford where a small charge may apply. If you need more than just plants we'll compile a free design brief which will help to clarify the ideas right from the start. If the full design and build option is requested, the first stage is the design brief which sets out the main proposals together with a confirmation of our costs. We can also give an approximate cost for the construction of the garden, although it is for the individual contractors to finalise the accurate costings. The next stage is the site survey (unless one has been carried out before) which allows us to draw up an accurate scaled layout plan. The site survey is carried out to establish all the necessary measurements. Digital photos of the garden can be taken for reference and a soil test may be carried out to determine what character the soil has - this will influence the types of plants that can be used. All the information gathered during the survey will be coupled with the design ideas and clients wishes and desires and translated into a scaled, coloured base plan. All the main features and ideas are clearly shown. The client keeps a colour copy of all design work drawn up. Plant lists can be drawn up during this stage, planting plans created where required and costings calculated for the construction stage. 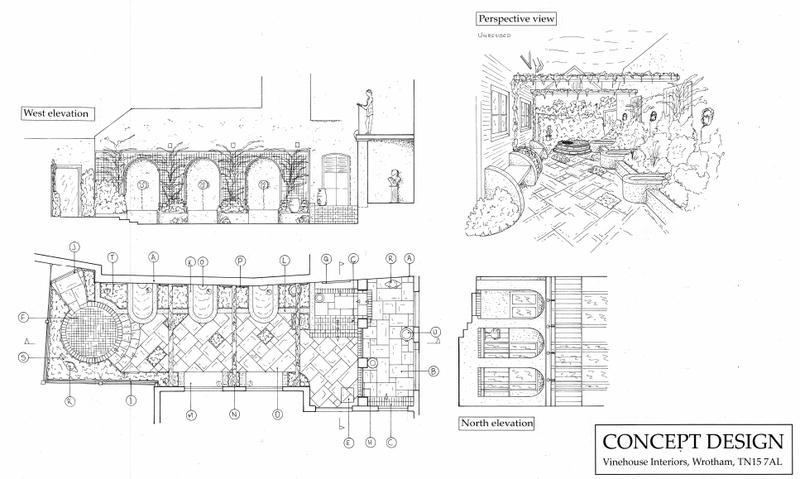 The concept design shows the main ideas and types of planting, together with materials. Along with the 2D plan, we also show the side elevation to show levels and a perspective view through the garden to give a visual artists impression of how the garden will look at eye level. A full written specification is also provided to give the contractors clear instructions as to the layout and building of the garden. The concept plan is the simplest way of showing how the space in the garden is best used for full effect (very important in small gardens). When you are happy with the design, we proceed to a detailed planting plan, which shows the positions of all the plants together with names and quantities. We also provide colour photo samples of the new plants so you can see the style of the new planting scheme. Not all design companies offer this, but we believe it's essential as part of our service to you. Once the design and planning has been done, we can offer preferred builders and landscapers (in the case of larger gardens) to arrange the construction stage. The scheduling of building work needs to be discussed at the stage of quoting for the hard landscaping part of the project and is solely at the discretion of the builders concerned. Of course, you may wish to have the garden built by your own builders. This is fine and we are always happy to liaise with a client’s own builders. 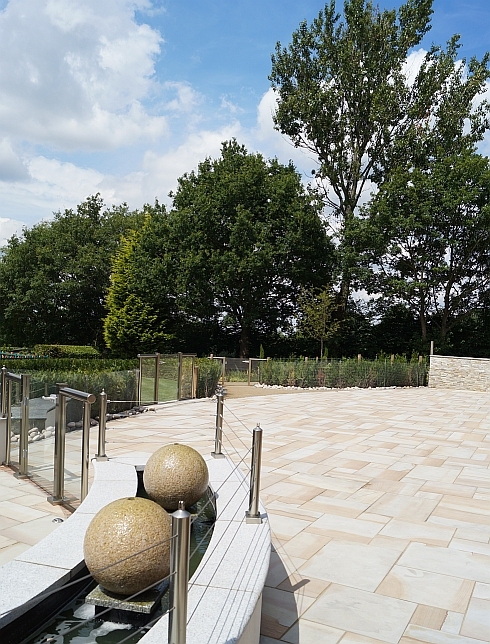 We firmly believe that overseeing the construction of a garden is important to ensure our designs are implemented exactly to our specifications. This also provides peace of mind for the client as any problems can receive our on site attention. All hard landscaping, e.g. paths, walls, pergolas etc. are constructed by independent, professional, highly experienced builders. Soft landscaping is carried out by ourselves or fellow landscapers. Only high quality materials and plants are used.